For so long, life seemed so simple, and things went so easily for Louis Smolka. He never really had to work, and he was able to pursue his passion of being a professional fighter. He was good at it and won his first seven pro fights, and 11 of his first 12. He was moving inexorably toward a world championship bid. Behind the scenes, unknown to all but his most intimate personal associates, things were different, vastly different. But when Smolka was submitted by Brandon Moreno at a UFC Fight Night card in Portland, Oregon, on Oct. 1, 2016, not many eyebrows were raised. Even after dropping a unanimous decision to Ray Borg at UFC 207 in Las Vegas on Dec. 30, 2016, nothing seemed out of the norm. Smolka, though, wasn’t nearly the same fighter, or person. He was drinking heavily, and often, and the result was tearing apart much of what he’d worked all of his life to achieve. 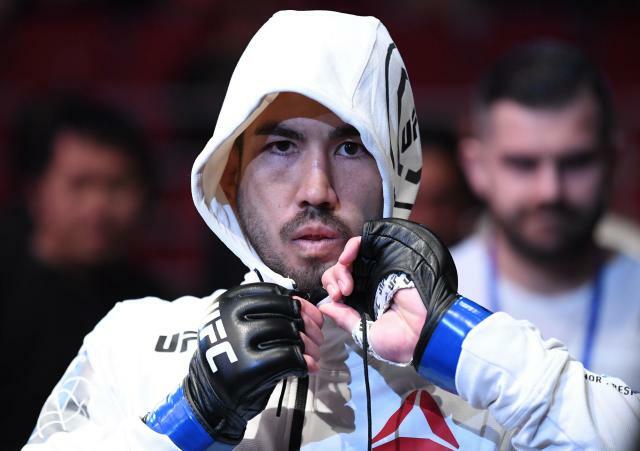 “When I was in that period where I was having all of that trouble and those problems, if there wasn’t any alcohol around, I would drink mouthwash,” said Smolka, who will fight Matt Schnell at UFC Fight Night on Saturday in Wichita, Kansas. Knowing that, it wasn’t all that surprising then when he followed the losses to Moreno and Borg with defeats at the hands of Tim Elliott and Matheus Nicolau. Winning at the highest level of any professional sport is a difficult task in the best of times. It’s virtually impossible when one is abusing alcohol as Smolka was. Not surprisingly, after his fourth consecutive defeat, the UFC cut him, but Smolka wasn’t fazed. He was at a point in his life where being a fighter wasn’t a priority. He was risking everything, including his personal relationships, in order to drink. He said that when he began drinking, it became his focus. He’d do the bare minimum at practice he could get away with, and when he got home, he’d head out to find something to drink. His fiancee was at the end of her rope trying to deal with his issues. He went to live with his manager, Jason House, and was practicing with Team Oyama. That ultimately sparked the change in his life, but not initially. House came home from work to find Smolka drunk, and he lost his cool. As they had a confrontation about the incident, something House said resonated with Smolka. House confronted Smolka about his drinking and Smolka tried to play it off as no big thing. House wasn’t having it. “He was all pissed when he saw me and he said, ‘What the [expletive] are you doing?’” Smolka said. “I was like, ‘What’s the big deal? I just finished practice and it’s a rest day. What’s the problem?’ He looked at me and said, ‘You shouldn’t be drinking. You have nothing to celebrate.’ That, nothing to celebrate, I don’t know why, but it resonated with me. 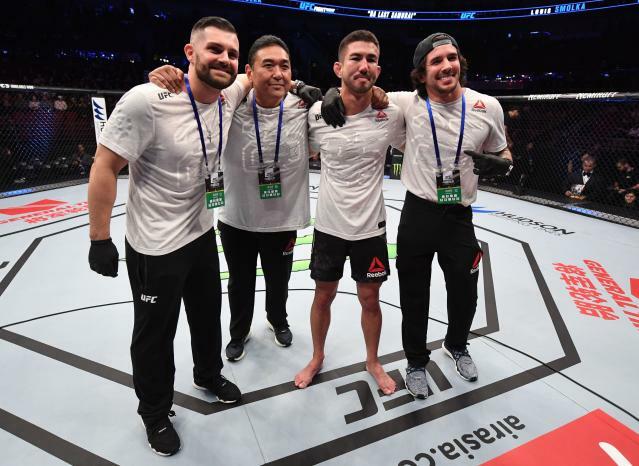 Now, Smolka is back in the UFC, on a three-fight winning streak and once again dreaming big dreams. He hasn’t had a drink, he says, in a year and a month. “It’s been great, honestly,” he said of his sobriety. “I’m so happy not to wake up and be hungover. And my life is so different, so much better in so many ways, now that I’m not drinking. As a fighter, it’s night and day, literally. He’s fighting at bantamweight now, because his body can’t make the cut to 125 safely. But he’s optimistic about the future, both in the cage and in his personal life. He has something to celebrate now, but that’s no reason to end his sobriety.